LORD I OFFER YOU MY LIFE! 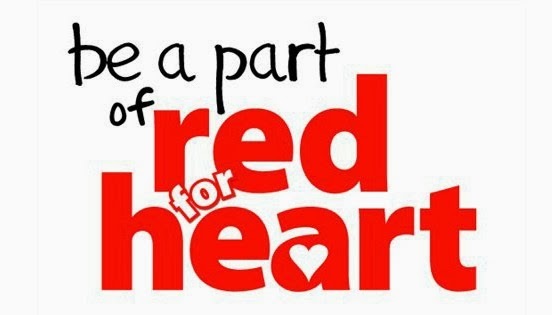 Join the national awareness movement by wearing or posting RED on on your Blog February 1st and encourage your family, friends, and coworkers to do the same. For more information on The Heart Truth campaign, Wear Red Day, or to get a personal heart-health assessment, visit: www.goredforwomen.org . Their interactive health tool will help evaluate your risk factors, identify risk factors you can change and provide a personalized action plan you can print and take with you to your doctor’s office. Related post: Faithfully Yours: THANK GOD. I have 9Lives! Now that our Thanksgiving celebration is over, it is that time of the year again when you and I get asked what do we want for Christmas? Me, also being a December baby (now a December oldie haha!) - I get asked twice for my wishlist. The gift of life of still being able to live it! Another year older, and many more years Loving You! "Not everything in this life is easy, but surely nothing is impossible... Being strong is not having strength as a lion, but the patience and humility of a bird that even in the cage does not stop singing and does not even lose hope of flying"
and “The Magic of Christmas is not in the presents, but in HIS Presence"
I have food on the table, clothes to wear, a voluptuous cat, the love of my family...the wind beneath my wings and most of all the gift of faith in GOD that life’s seasons always changes for the better. ...but as some folks might yawn or even snooze upon hearing these from me, let me just then share my Amazon.com’s Wishlist items for this year’s family exchange gift tradition. …and lastly for my “c” to never ever come back and for my dental nerve injury to fully resolve, so that I may eat well to gain back precious pounds, and to be able to continue to laugh at my life’s challenges even on some days when I couldn’t smile. Amid the trials and challenges I go through in my life, happy or sad moments, I am blessed and eternally thankful for having the full Armor of GOD to battle and win them all still with a smile. In good times or bad times, I have learned to appreciate the beauty of life itself. I am so thankful for each day of my life, waking, breathing and dancing to the sweet melody of my heartbeats. Thankful for being a part of the American cancer Society’s Making Strides against breast cancer this year, and being out and about on a Monday night around town courtesy of Comprehensive cancer Centers of Nevada. Thankful for each and every day I have in my life together with my loved ones. Thankful for loving deeply and being loved in return! Thankful for the gifts of a passing day, and Hopeful for the blessing of a new dawn. Happy Thanksgiving everyone! Love and light to us all! 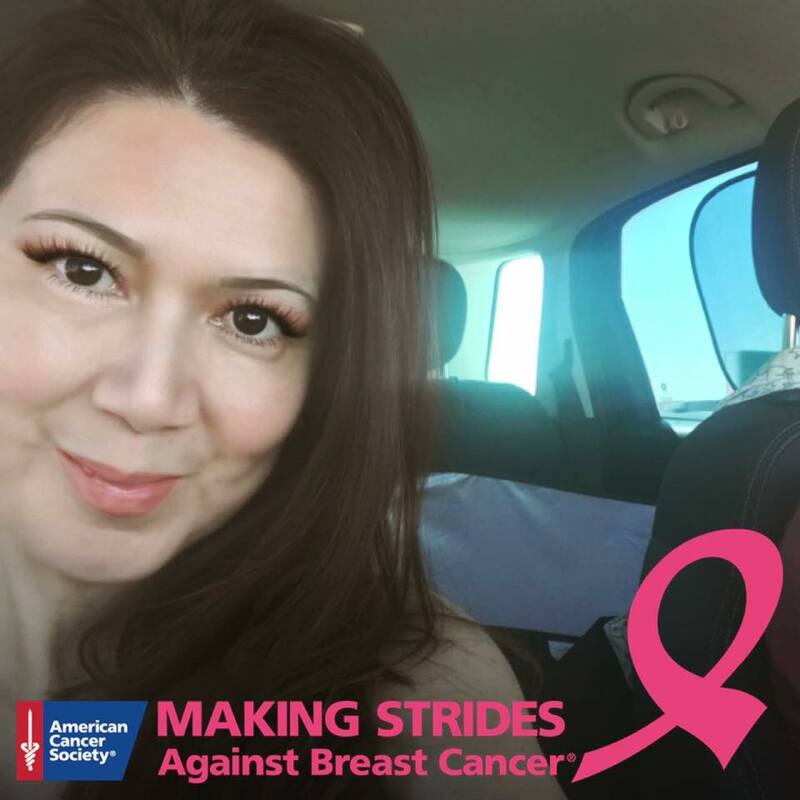 Folks, It is that time of the year again--October is Breast Cancer Awareness Month--one that so closely strike a chord in my heart because just like my mother, by GOD's Grace who is a breast cancer Survivor going for 13 years now, I too, am now on my first year after when my journey begun. FAITHFULLY YOURS: Scarred but THANKFUL! I always try to live by the saying that “everyday may not be good, but there’s always something to be thankful for...”— this rings so much truer now during my breast cancer journey. It all started during my routine mammogram. The tech during that one August morning said she needed to take more pictures. I already got a bit worried then but just brushed it off. A few days after, I got a call back to come in for a diagnostic mammogram this time around plus ultrasound. I was then told by the breast care nurse that 2 abnormalities were found (Bi-RAD 4/suspicious) and that I needed to have a biopsy done the next week. I had a core-needle biopsy done and not to scare off those of you who might need to have one, I find this type of biopsy so barbaric! I was in so much pain! But then again each one of us have a different threshold to pain...so what may be painful to me might just be a pinch to you. BUT...the biopsy pain I endured then was no comparison to the pain I felt in my ear, my entire body, my soul...upon getting the results call that I have breast cancer. Dear GOD, equip me with your strength as I face my biggest challenges. ...and as if in a blink of an eye it was all over! My post-op recovery is going amazingly well! I’m already up and about early on and especially after the drainage bulbs were removed. My family and I just came back from a thanksgiving trip to San Juan Capistrano Mission, California where the Shine of St. Peregrine (Patron Saint of cancer patients and survivors) is located inside the Serra Chapel. Thanksgiving is upon us and I thank GOD for my healing! It took GOD, St. Peregrine, faith, family and friends to see me through. Happy Thanksgiving everyone! Love and light to all!